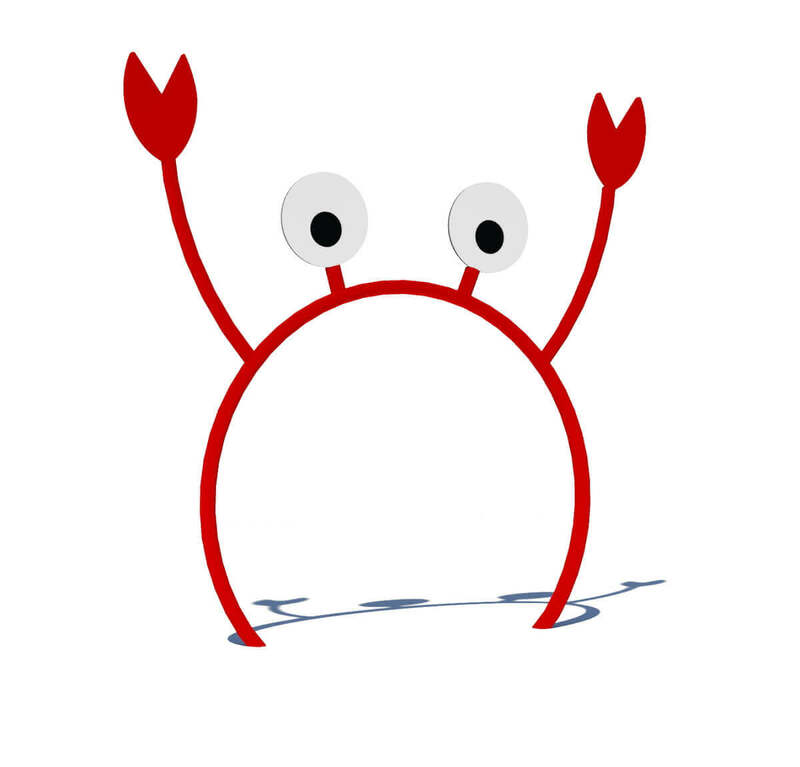 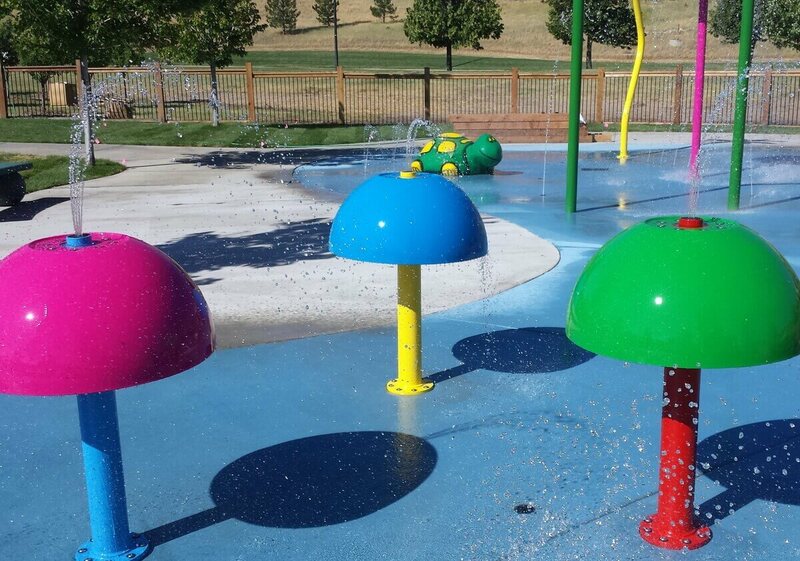 It’s well established that every play area is different, as is every aquatic play project. 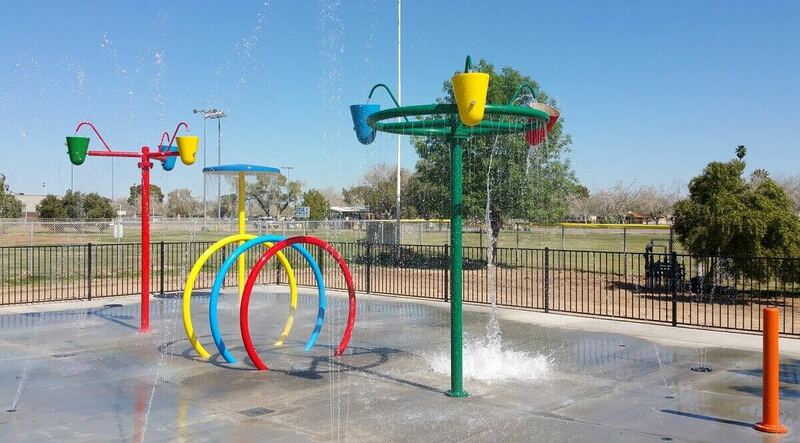 Adventure Playground Systems has options that will fit your project needs and create a splash pad to envy. 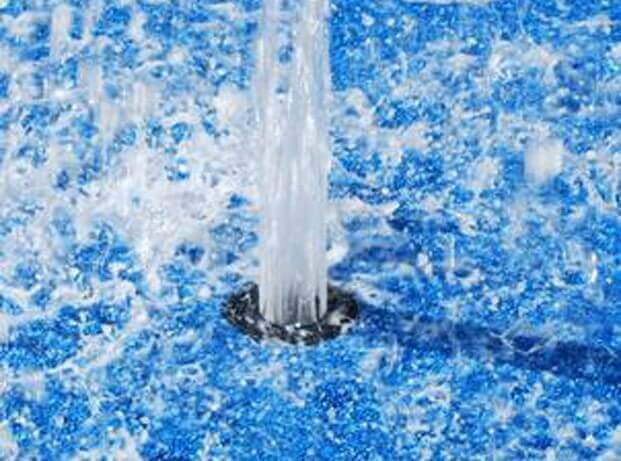 Spray Elements may not have the visual impact of a dumping bucket or brightly colored mushroom but they hold tremendous play value anyhow. 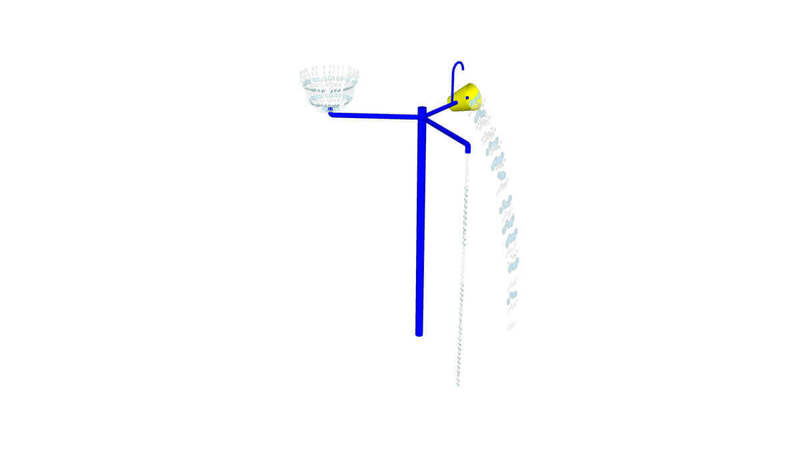 Located at or below grade level, designer jets cast water flow in a multitude of ways. 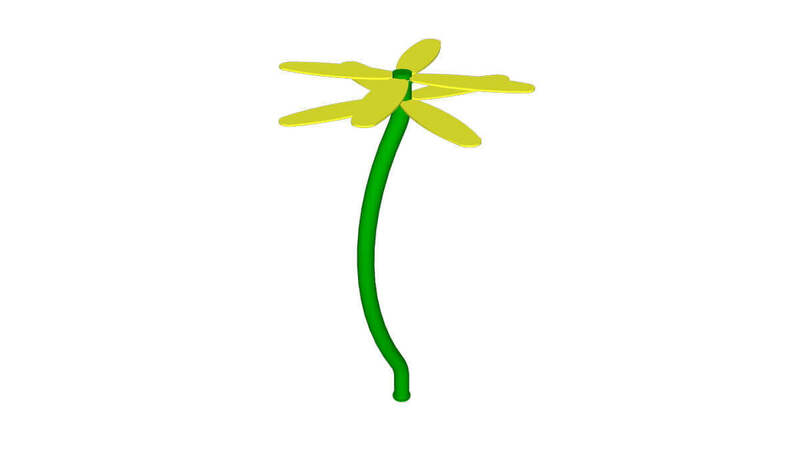 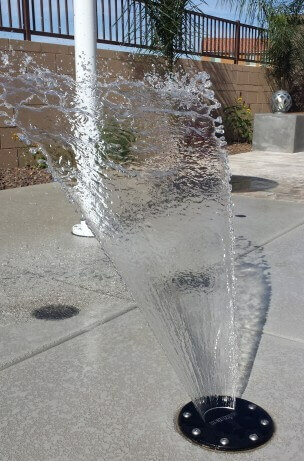 From bubblers, rooster tails, and fans every spray nozzle creates a new effect. 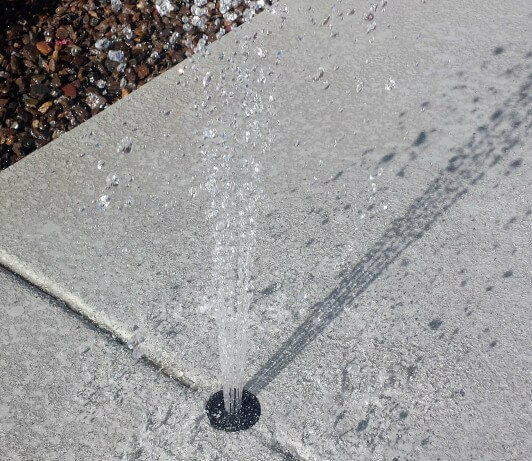 Ground Spray Elements are perfect cost effective options that integrate nicely in to otherwise traditional settings. 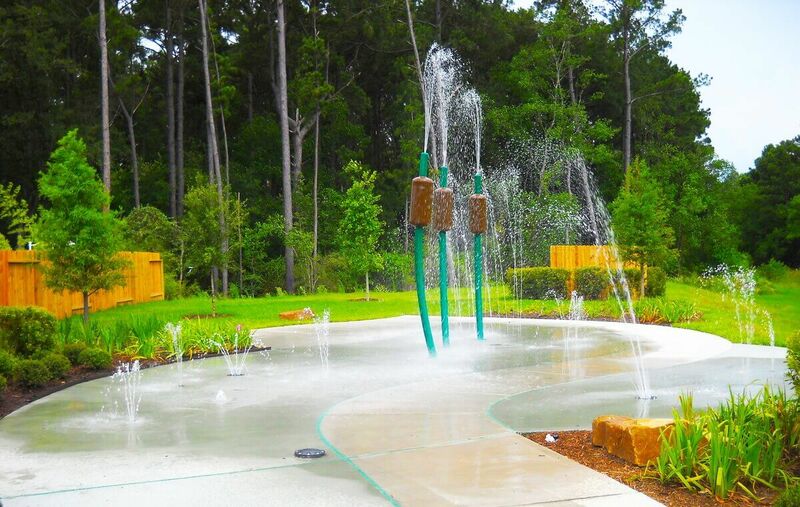 Introduce a whole splash pad to your community or create a scenic fountain path to be enjoyed year round. 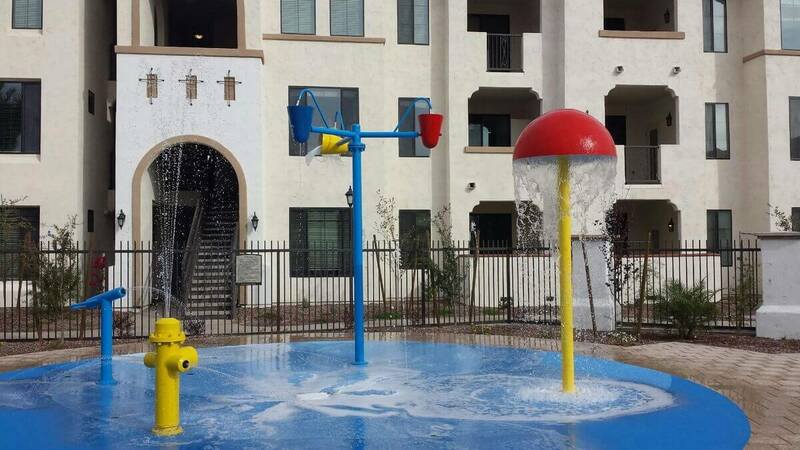 Playground Systems light commercial grade above ground spray park features are a fantastic option for any daycare, apartment complex or shopping center looking for a low liability way to beat the heat. 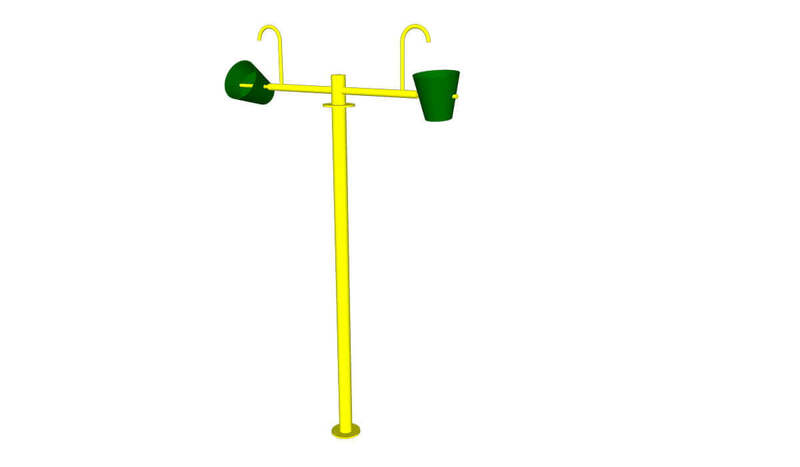 Constructed of PVC (Polyvinyl chloride), light commercial grade equipment is cost effective, and easily maintained. 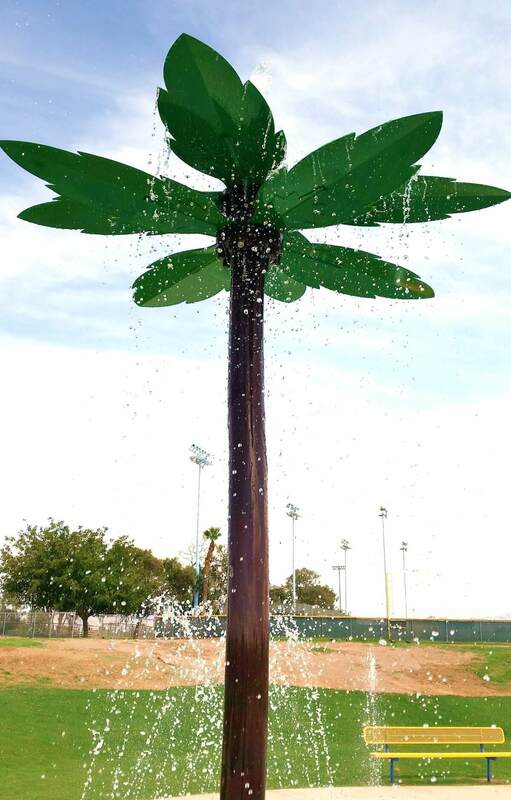 Bright, bold, and fun- light commercial above ground features add a pop of color and a splash of water to every project. 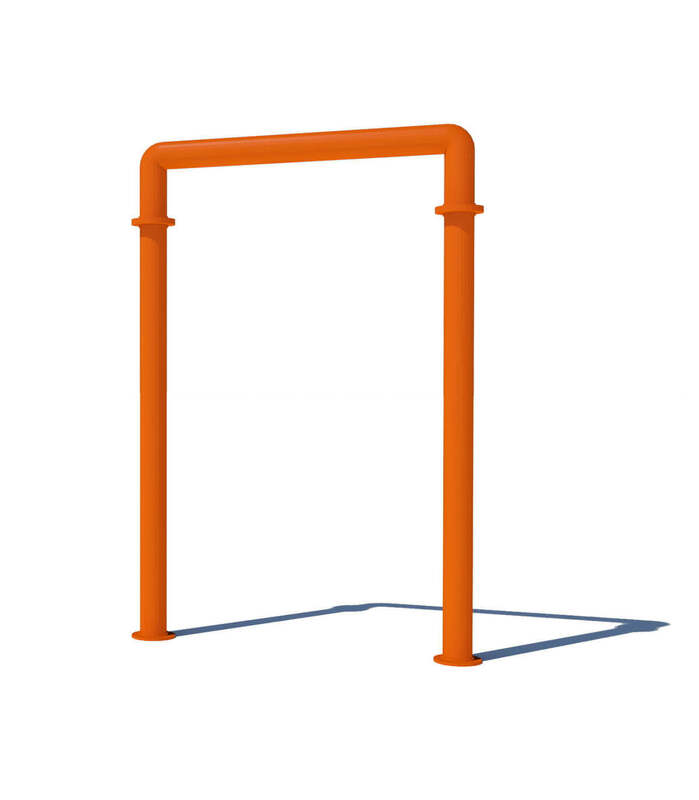 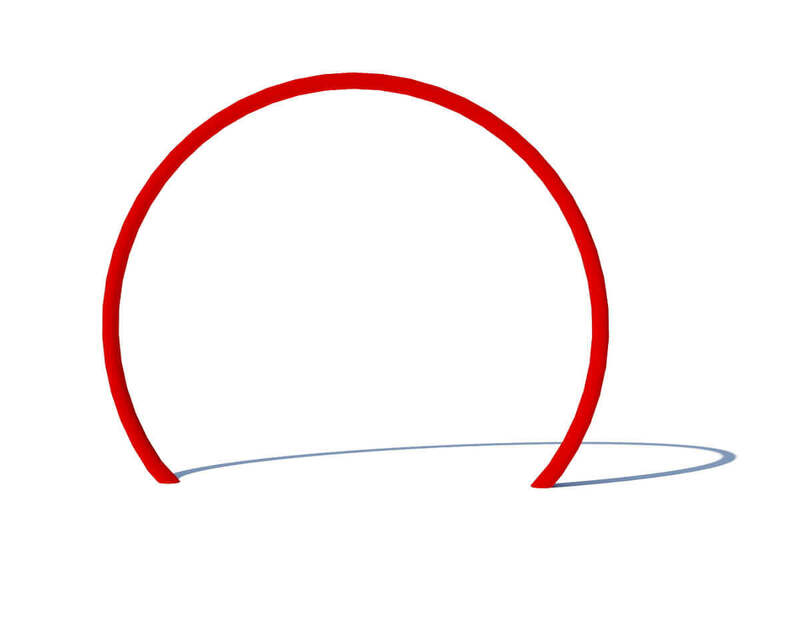 Because light commercial grade equipment is constructed of PVC, a more brittle lightweight material, Adventure Playground only recommends these products for sites that will have controlled access and supervision. 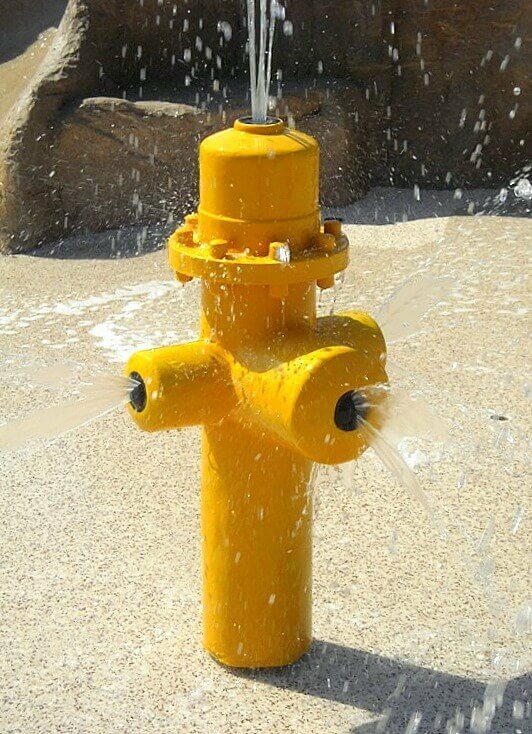 Playground Systems commercial grade above ground splash pad features may look similar to light commercial items but are instead top of the line powder coated stainless steel fountains. 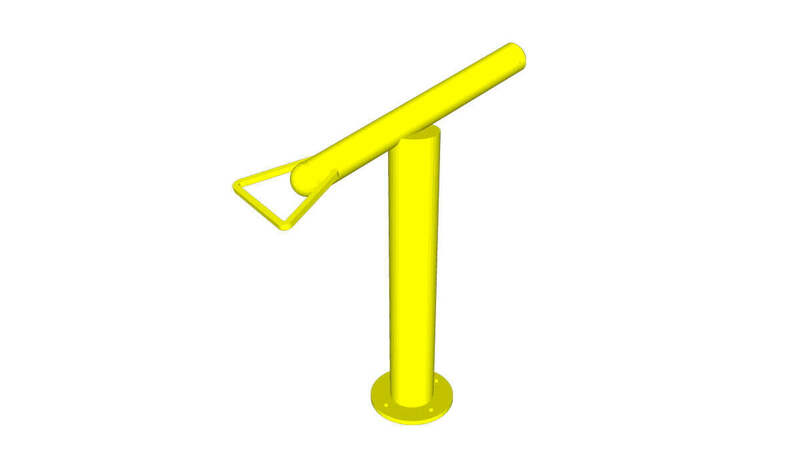 Perfect for homeowners’ associations, municipalities, and hospitality venues, these elements will stand up to the test of time and the test of play. 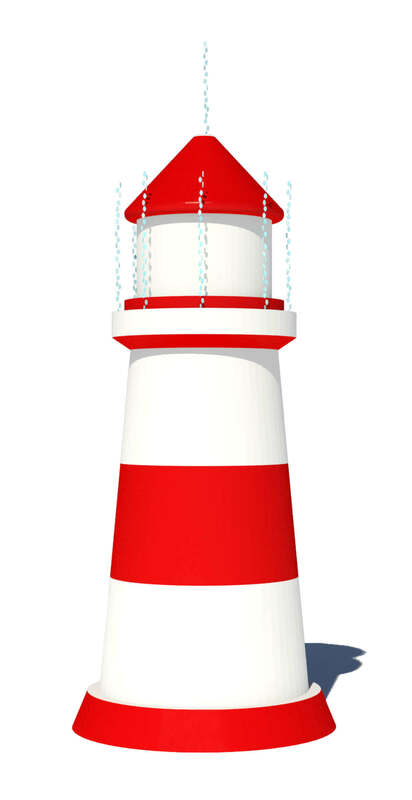 Fully customizable, these features fit in to every theme. 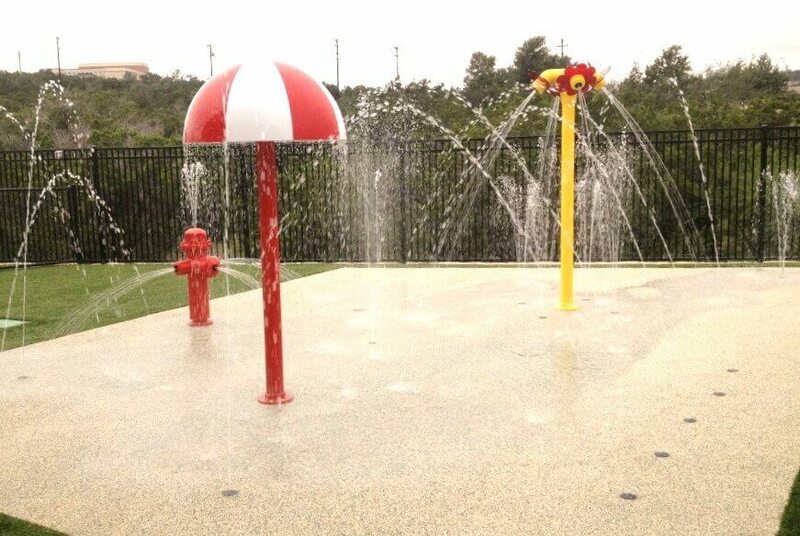 Commercial Grade elements do require a larger starting cost than other splash pad options; but, overtime they wear less, last longer and are a fantastic return on investment. 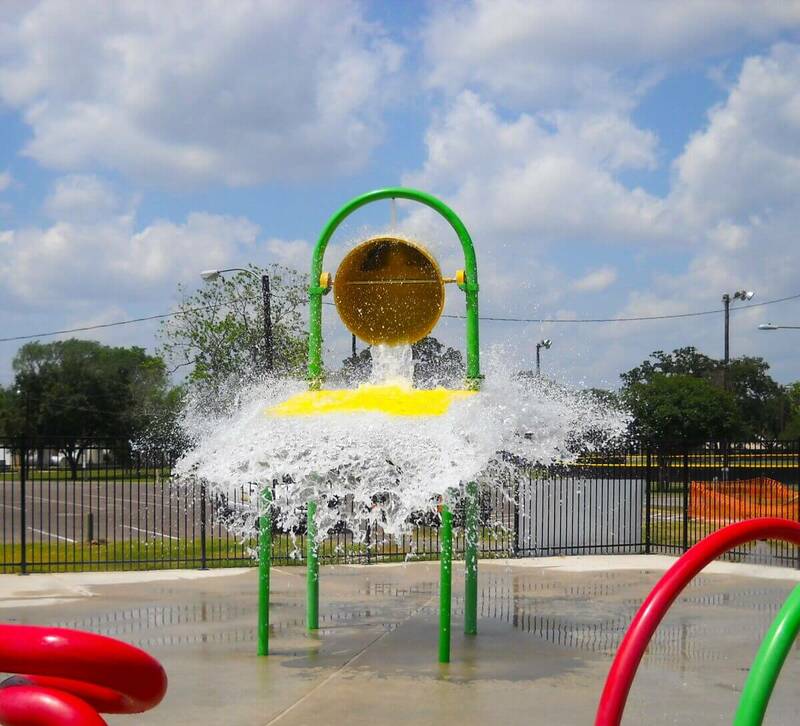 Adventure Playground Systems highly suggests this grade of material to any site that will be heavily trafficked or experience heavy wear and tear. 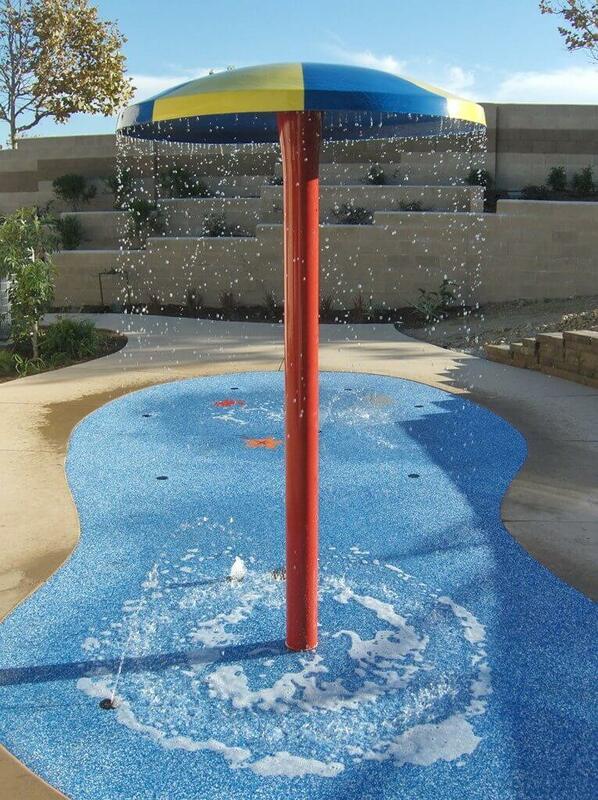 Whatever splash pad features you might need, you’ll find what you’re looking for at Adventure Playground Systems. 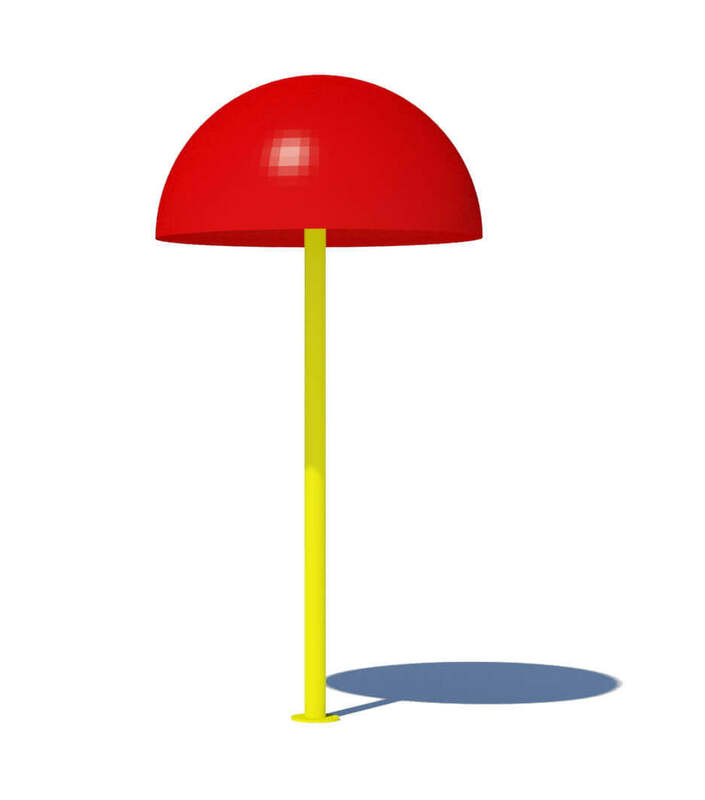 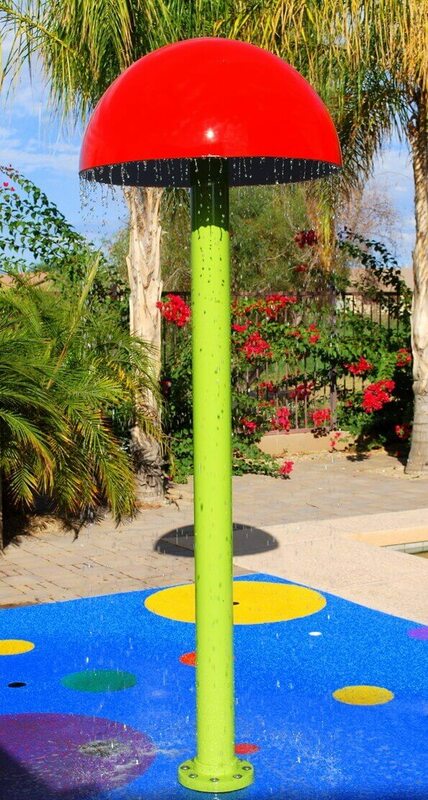 We’ve developed a large selection of affordable commercial splash pad products for our Adventure Aquatic Play line. 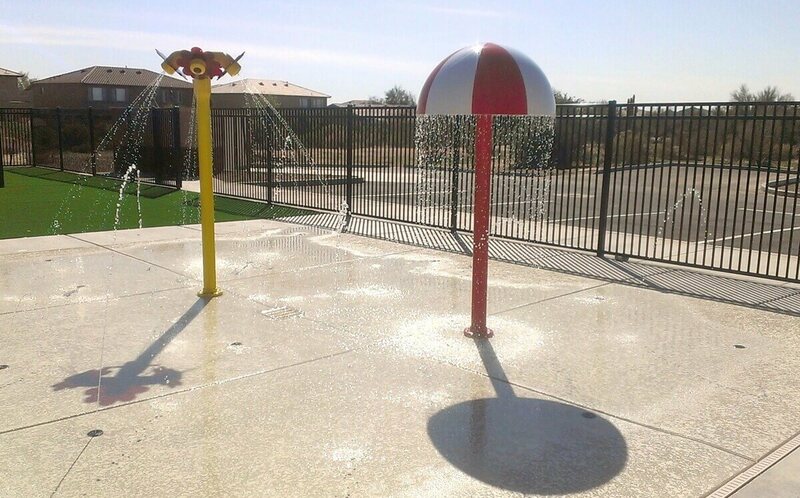 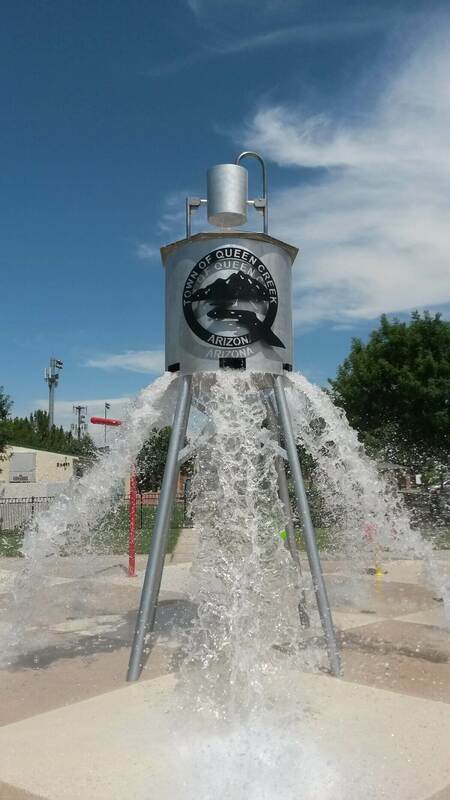 We offer designs of all shapes and sizes for our features of splash pads, which are manufactured using only the highest quality commercial materials. 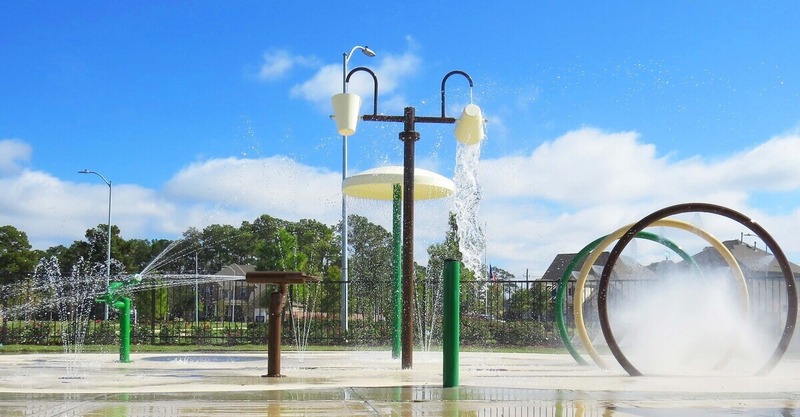 CPSI-certified Adventure Play Experts oversee each design — even custom solutions — to ensure it meets or exceeds ADA, CPSC and ASTM standards, so you can rest assured that your community will safely enjoy the features of your park or organization’s splash pad for years. 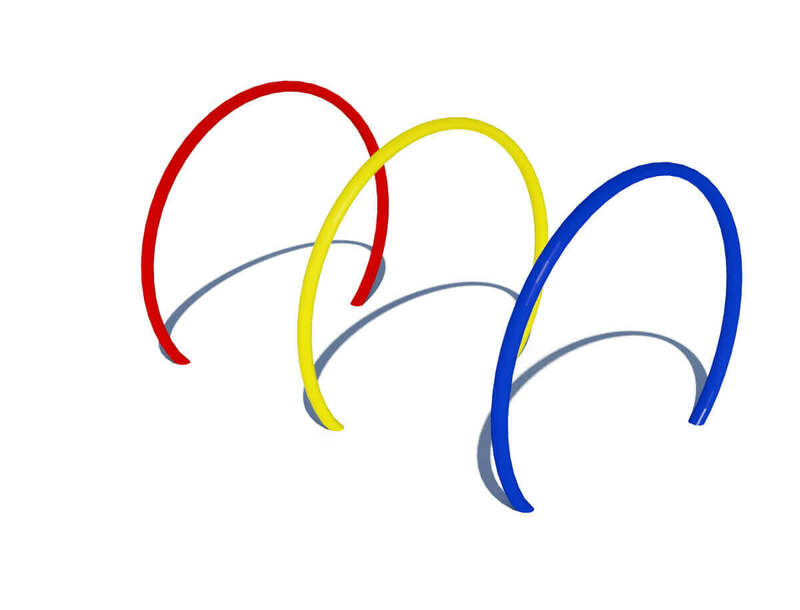 Contact us online or at 1.888.935.2112 to get started today. 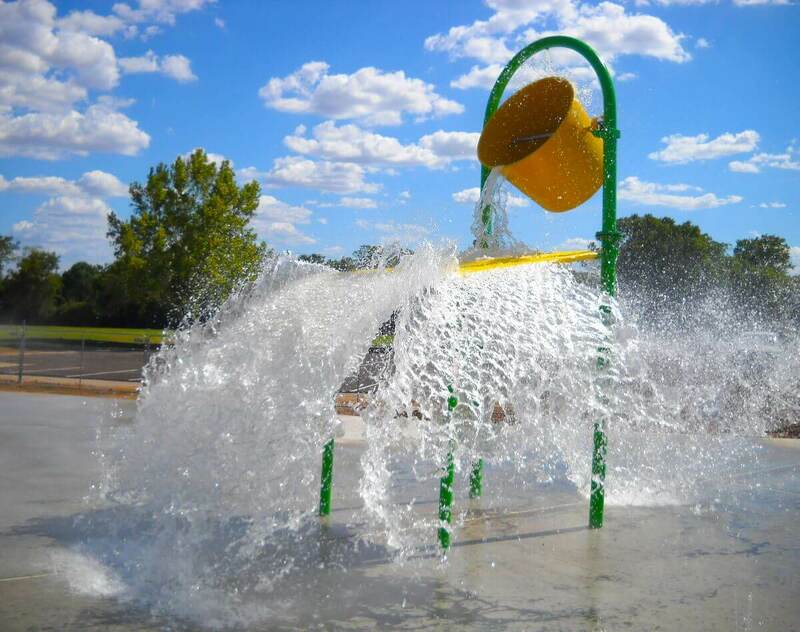 Our Adventure Play Experts will guide you to the best splash pad water play features for your needs. 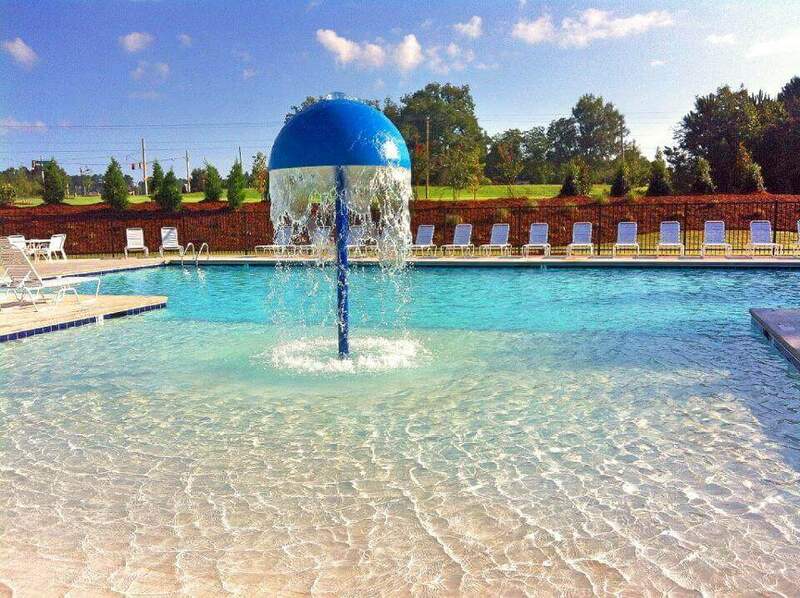 We’ll be here to help you every step of the way, from your aquatic playground’s design to its installation.